How do you understand yoga in your life? Scott contemplates our connection with our yoga practice, sharing how we might begin to understand yoga, how he sees yoga as intimacy and as relationship, and why it’s important to practise gratitude in our lives. 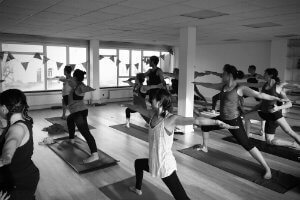 Are you aware of the intention behind your yoga practice? Scott considers the intentions we have around our yoga practice and whether these change over time, and shares why he sees yoga as a formal contemplative practice. Yoga begins with listening. This month, Scott explains why listening to others is at the core of why we practise yoga, and how we can navigate the differences in our own viewpoints with love and compassion for others. Have you noticed how far you’ve come? This month Scott invites you to imagine if any part of your life had been different; he explores how skilfully reflecting on the past and stopping to smell the roses in the present moment keeps you on a path to the future. 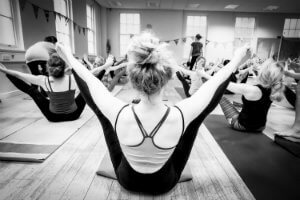 As we move into the new year, Scott looks back over 2017 and reflects on some of the most popular posts from the Stillpoint Yoga London blog, to help give you a fresh perspective on your yoga practice.